Absolutely stunning.This ending left me speechless and with the heaviest book hangover EVER.P.S. I'm proud to have the same first name. Elena. Isn't it beautiful? 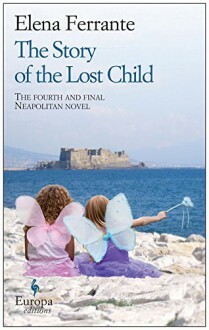 http://silvie.booklikes.com Silvie's bookshelf 4.0 The Story of the Lost Child: The fourth and final Neapolitan novel. text The Story of the Lost Child: The fourth and final Neapolitan novel. http://KatieMc.booklikes.com KatieMc 5.0 The Story of the Lost Child: The fourth and final Neapolitan novel.